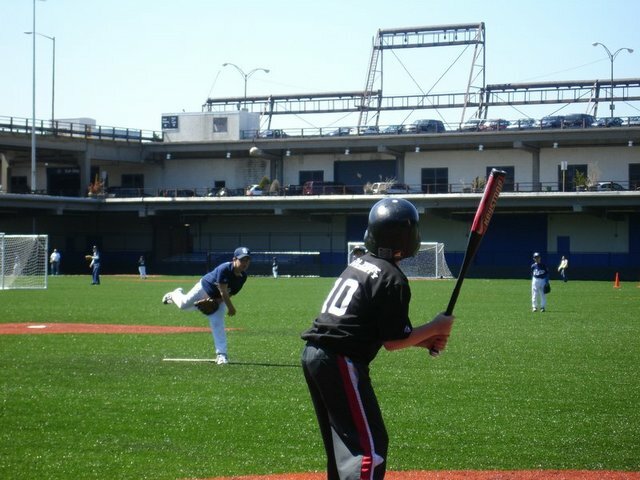 Many people think of little league as the quintessential suburban spring thing. 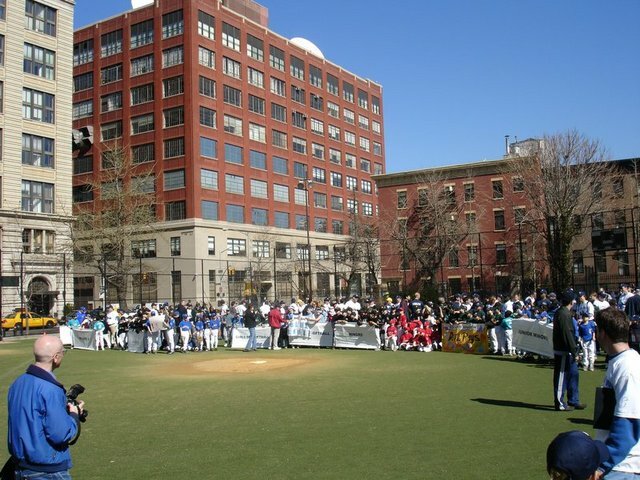 Well we’ve got little league here in NYC too and its a big deal when opening day comes along at Greenwich Village Little League (GVLL). 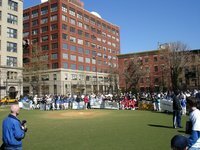 They start with a parade and a gathering at JJ Walker Ballfield in the village where the teams come together and they sing the national anthem and then its off to play ball. 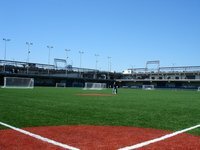 This year is a particularly big deal because we’ve got some new fields to celebrate. Space being a premium in the city, fields come near and dear. 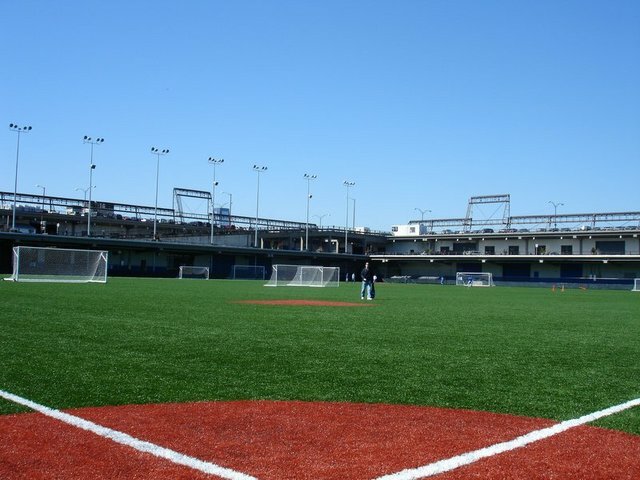 These new fields are inside Pier 40 (not on the roof where they’ve been playing for some time). The setting is fantastic. The combination of the bright green turf and the industrial surroundings is simply fantastic. I am not sure who to thank for this gift from the urban planning gods but it was just great to walk onto these fields and watch the kids play ball today. Josh’s team is the Padres. These kids have been playing together for several years and know each other well. They are going to do great this year. Josh’s friend and bandmate Max pitched for three innings and held the other team hitless. It was a stellar performance. Then Josh came in close out the game. He struck a couple out and held the opposing team hitless as well and the Padres won their opening day.